MOSCOW, September 16. /TASS/. Alexander Petrov and Ruslan Boshirov, who are suspected by London of being involved in the nerve gas attack in Salisbury, have nothing to do with the Kremlin and Russian President Vladimir Putin, Putin’s press secretary Dmitry Peskov said in an interview with the Rossiya-1 television channel on Sunday. 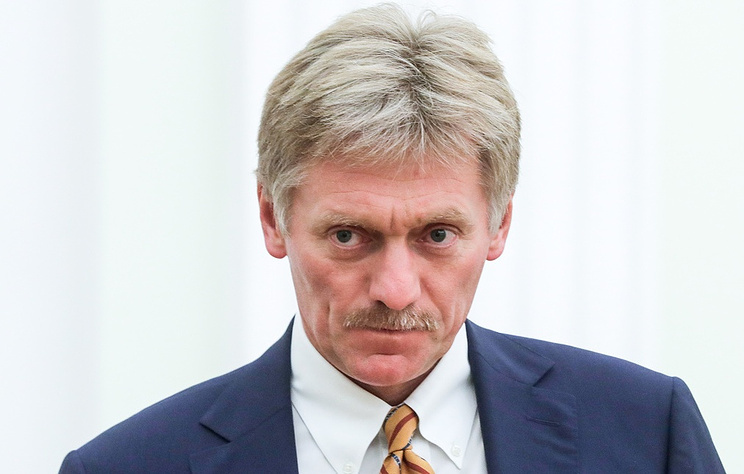 "Neither Petrov nor Boshirov have anything to do with Putin," Peskov said, adding that they have nothing to do with the Kremlin either. According to Peskov, Putin’s statement at the Eastern Economic Forum on Wednesday that Russia’s authorities knew about Petrov and Boshirov came as a surprise. "No, it was not a prepared speech," he said. "What the president said was his own decision. It came as a surprise for us, we did not know about that." On Friday, Peskov said that the president was aware about the two men’s interview with the RT television channel, where they denied London’s allegations about their involvement in the incident. Britain claims that Sergei Skripal and his daughter Yulia were affected by a nerve gas of the Novichok class in Salisbury on March 4. The British government claimed that Russia was highly likely involved in this incident. Moscow strongly dismissed all speculations on that score, saying that neither the Soviet Union nor Russia had ever had programs for making such agents. Britain’s military chemical laboratory at Porton Down has failed to establish the origin of the substance that poisoned the Skripals. On September 5, UK Prime Minister Theresa May told British parliament about the secret services’ conclusions regarding the investigation of the March 4, 2018 Salisbury incident. The conclusion suggested that they had become targets of a special operation by agents of the Russian military intelligence service GRU. Scotland Yard released a package of photos supposedly showing the two Russians who had poisoned the Skripals. The official story made public by the British authorities suggests the two men entered the country 48 hours before the poisoning. They held official Russian passports issued in the names of Alexander Petrov and Ruslan Boshirov.